We had a marvellous, sunny break in the weather for the 2017 Harrogate Town Centre 10K and as always, there was a tremendous vibe in Crescent Gardens as the 600 competitors prepared for the race. And what a race it was! 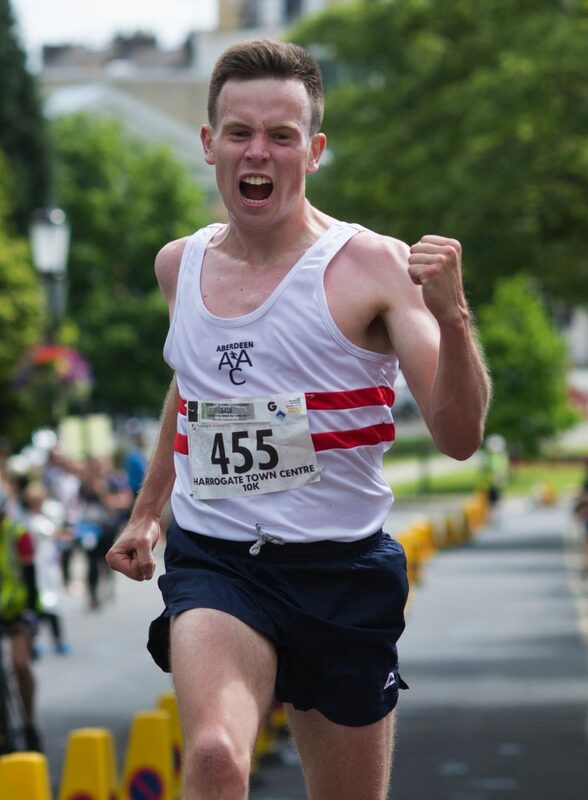 Harrogate Harriers Club Captain Andy Grant and Leeds AC's Mike Burrett lead from the start with Aberdeen AAC's Rory Stead close behind. Andy and Mike battled it out, with Andy just leading after the first lap, however Rory ran a fantastic tactical race and overtook both on the second lap to finish in a storming 32:33. Emma Clayton of Leed A.C. lead the ladies race from the start, the breezy conditions just preventing her from a proper assault on the course record. Her finish of 35:09 was truly fantastic and we hope she'll be back next year to give it another go. 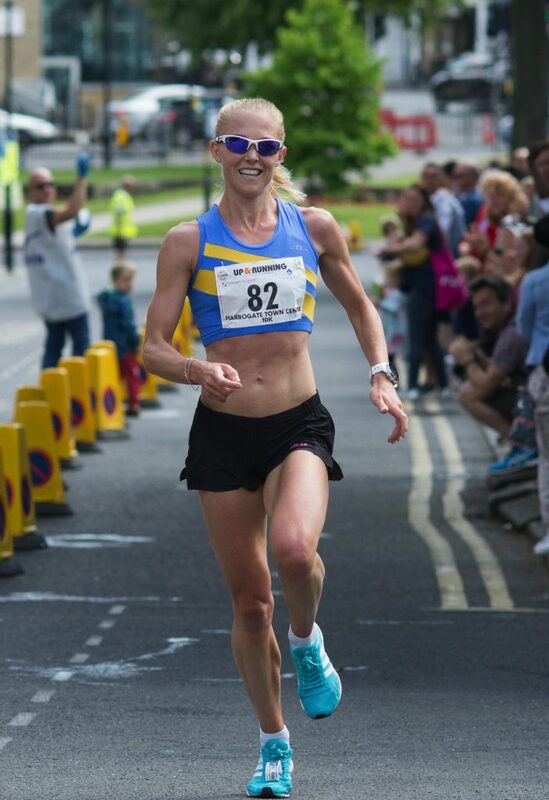 Harrogate Harrier Crystal Goecker was next lady, followed by Caroline Bollon of Ripon Runners. Of course there was lots of action further down the field and those running the race for the first time discovered that the Harrogate Town Centre 10K really does have one of the fastest finishes in the business, everyone enjoyed the flying mile down Cornwall Road to Crescent Gardens and to the finish line, some tremendous sprint finishes ensued and kept the cheering crowd very entertained. Many thanks to all those who took part and especial thanks to our generous race sponsors, we literally couldn't have done it without you. Hope to see you next year!